Pink Winter Autumn Cherry has the ability to bring colour to a garden during the Winter period when memories of summer are far away. 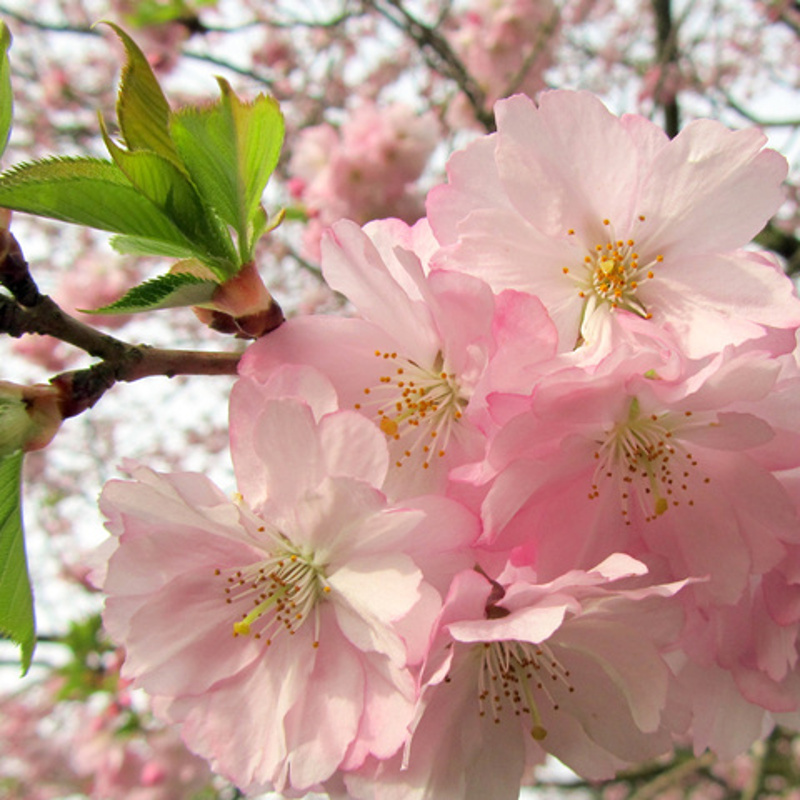 In mild spells of weather from October until March, the branches are covered in attractive deep pink blossom. A delightful tree with a spreading habit and dark green leaves which change to an amber-yellow colour during autumn. An ideal choice for a small garden with a final height of 6m (20ft) and spread of 6m (20ft). See also White Winter Autumn Cherry. This tree is supplied at a height of between 1.5m to 2.2m and in a 12L container, which means that the tree can be planted any time of the year and with better results than either bare-root or rootballed trees. 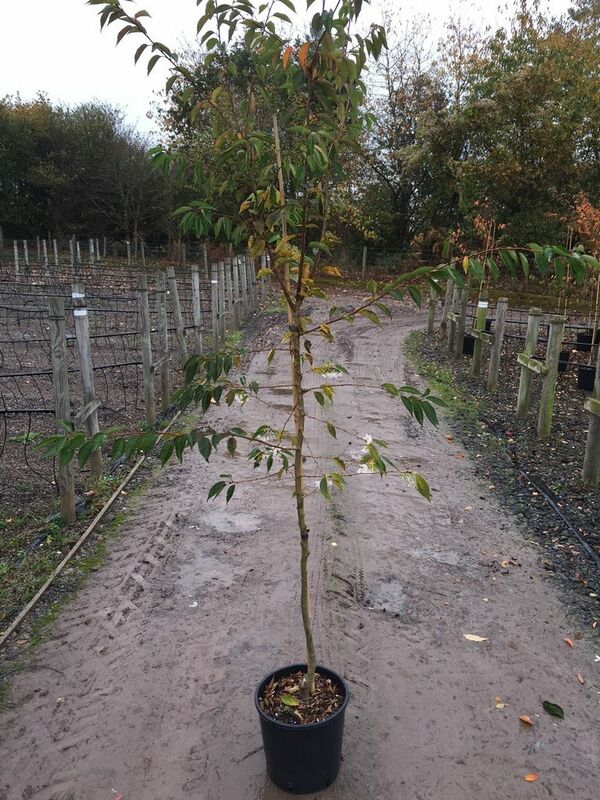 The height range of the Autumn Cherry we have to offer is so broad because it depends on the preceding years weather and when in the year you buy them.